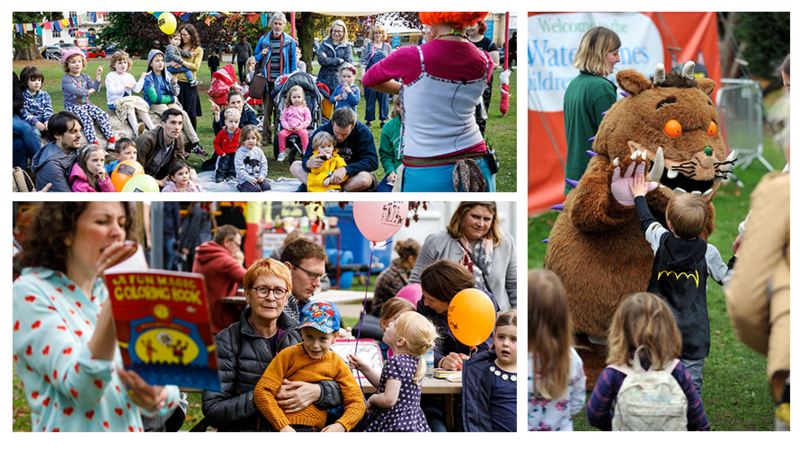 The Times and The Sunday Times Cheltenham Literature Festival offers a whole host of free family activities and paid for events to keep children of all ages entertained. Our Family Programmer has brought together a world-class line up to thrill young book lovers. Putting fun first, the festival gives children and young people a chance to meet the creators of their literary heroes, see illustrations come to life and fuel their imaginations. 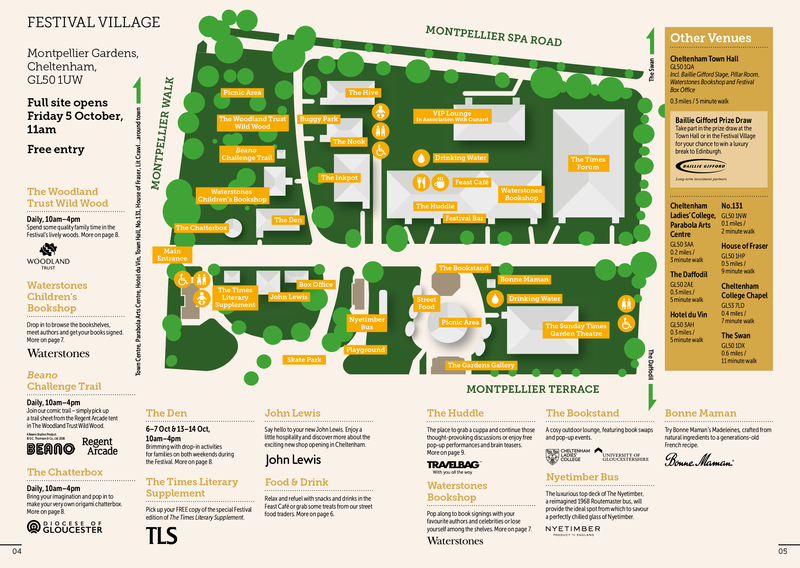 We also offer a range of spaces and places buzzing with FREE family activities and pop-up events – perfect for a family day out! The activities are planned to be accessible to as wide an age range as possible: so they can be enjoyed and appreciated by all members of your family. Ten local primary schools have written and illustrated monstrous stories for Cheltenham Literature Festival’s Monster Story Trail. You can read their stories inspired by 200 years of Mary Shelley’s Frankenstein here, and find the giant book covers around town during the festival, from 5 – 14 October, 11am-3pm. Follow the trail and write down the letter clues to reveal the name of the Cheltenham Festivals monster. Colour, stick, cut, build, imagine and create your own fantastic dragons and decorations with Creation Station. Arty activities for ages 4–12 and their families. Go on a Bear Hunt, meet favourite book characters, hear storytellers, become a nature detective and visit the Woodland Trust Trailer for games, activities and more. Find out how two young dragons find their way home with storyteller Lucy Walters. Enjoy Dragon Stories and draw–a–long with author and illustrator Shoo Rayner. Improvised, immersive, interactive storytelling with Wilf Merttens. Meet favourite book characters Little Miss Inventor, The Gruffalo, Cat in the Hat and The Tiger Who Came to Tea. Go on an imaginative adventure with actor Sophia Lanciano through grass, forests, water, mud and even snow to meet a big friendly bear. An epic mix of high energy games, races and competitions for all the family to join in. Complete these nature challenges to discover awesome creatures and incredible trees. And look out for the special Nature Detectives badges – tick them off when you’ve finished each task. Celebrate 80 years of the Beano comic by following our poster trail across site with fun activities to do along the way. Pick up a trail sheet from the Beano Challenge Trail tent. Come along to an exhibition of poetry and photography from students participating in Beyond Words, a Cheltenham Festivals outreach programme. Students are from Gloucestershire Hospital Education Service and the University of Gloucestershire. Pop in and make an origami chatterbox, hang a leaf on our Tree of Hopes and Dreams and have fun coming up with ideas and answers to our curious questions – just bring your imagination!